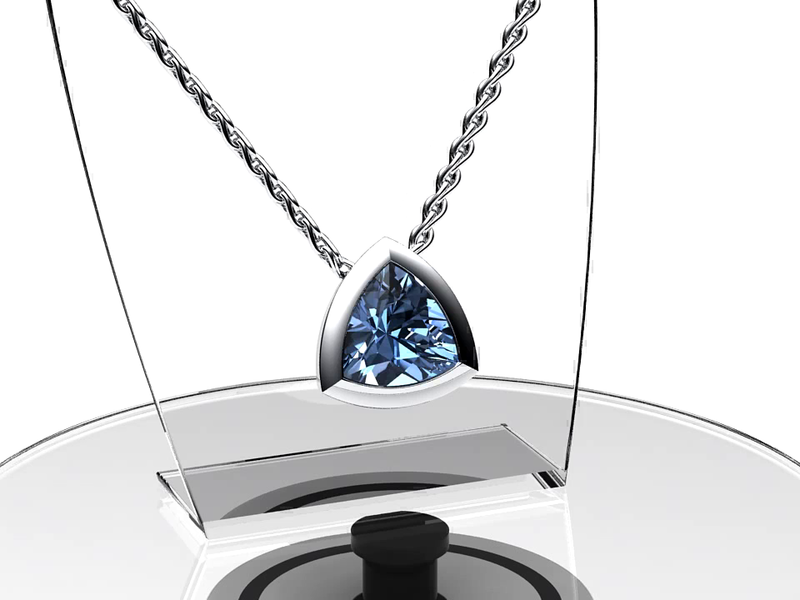 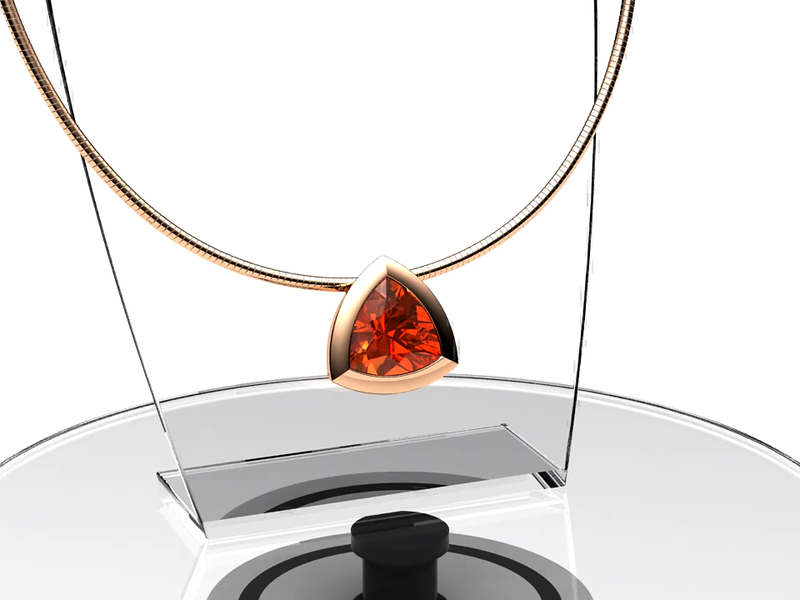 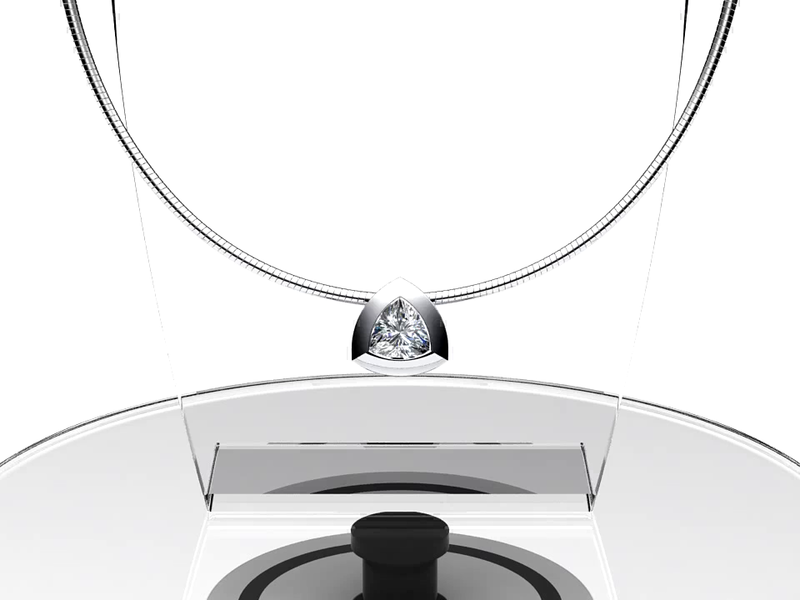 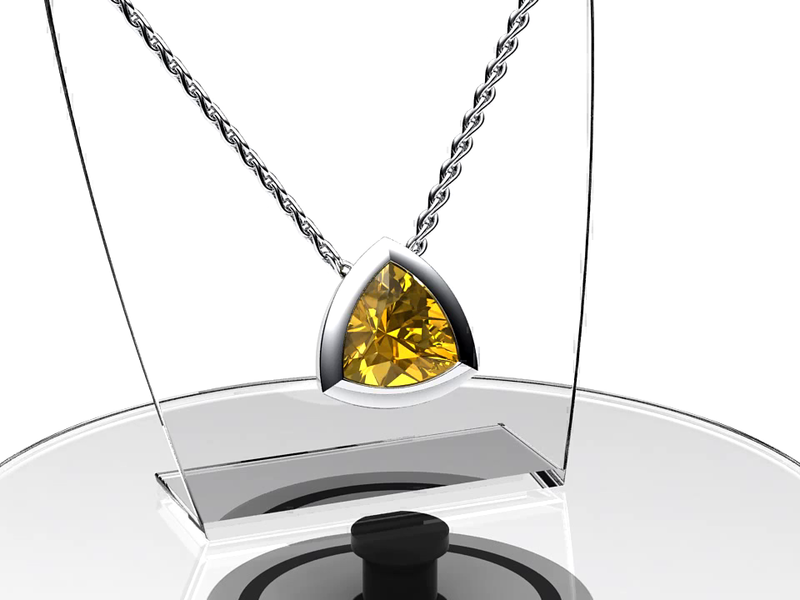 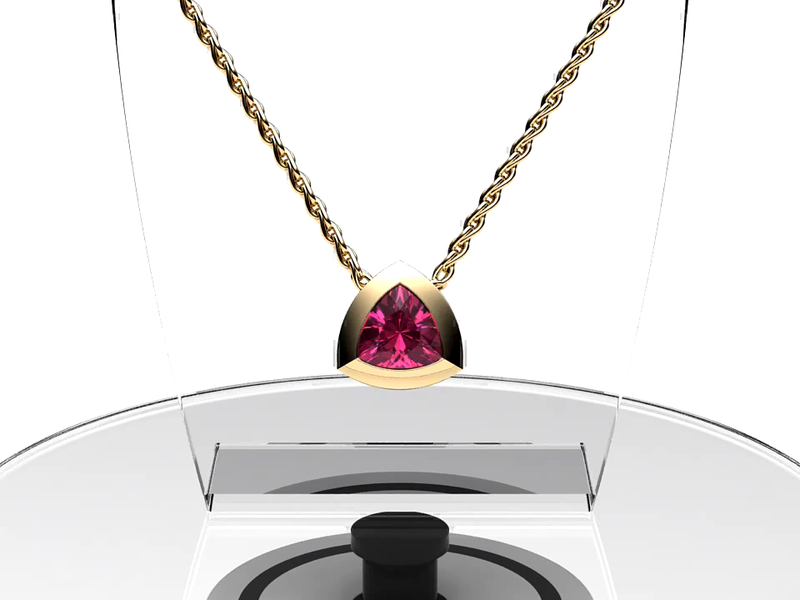 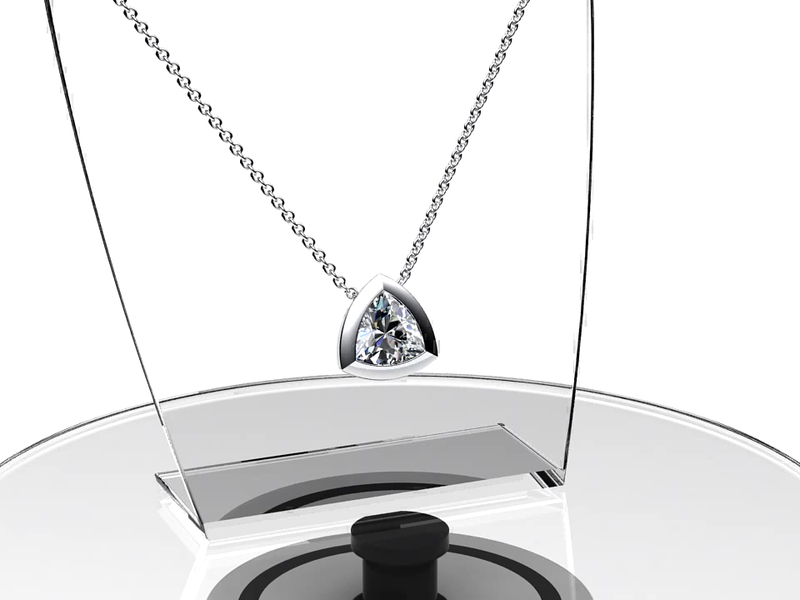 Pendant bezel-set with one 9.0x9.0 mm trilliant cut stone. 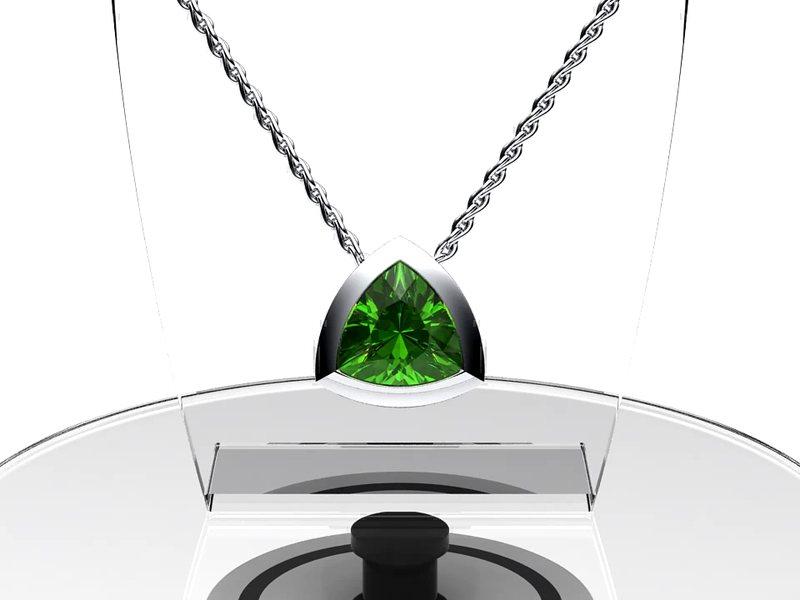 Pendant size: 12.3x12.0 mm. Total metal weight: 6.9 g.